HTML5 or Flash: which one is the best option for you site? Currently, everyone is convinced that HTML5 surpasses Flash in many aspects and today we’re going to find out if there is any truth to this statement. Thus, we’ll establish what HTML5 and Flash are and then will move to discussing benefits of each, eventually coming to their comparison. Both of them are useful and easy to work with technologies, which are used for online content creation and display advertising. Naturally, HTML5 and Flash are different and both have advantages and shortcomings that we’ll discuss further. HTML5, which is also known as HyperText Markup Language is a language, used for creation of web content and website development with the help of code. It’s important to remember that HTML5 is not a program or tool, it’s a rather recent language that was finally approved only a year ago - on October 28th, 2015. It’s value cannot be underestimated, as it has shown itself as a reliable and easy to use language in building online banners ads, embedding animations, videos and other multimedia files in text as well as providing possibilities for scriptable rendering of 2D shapes. 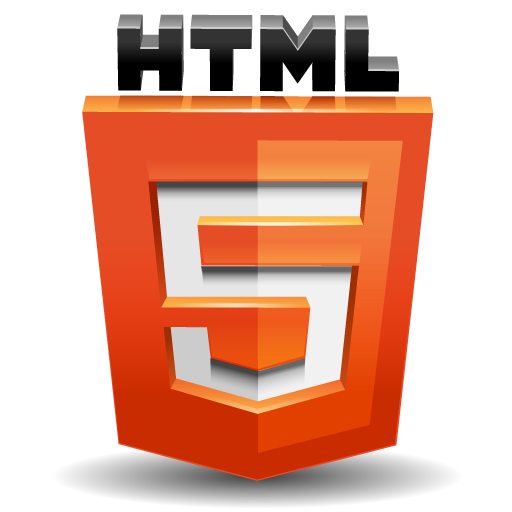 HTML5 allows the creation of striking and appealing websites with the minimum efforts, made by users. What is the Adobe Flash? Initially, Adobe Flash was «FutureSplash Animator» that came into being in 1996. Since then it underwent a multitude of updates and variations. Now, Adobe Flash is a multimedia platform, RIA tool and software for creation of small games, animations, videos and graphics. It’s an ideal technology for video streaming of online content, such as advertisements and videos. Adobe Flash doesn’t have Graphics Processing Unit (GPU) processing, which is why it works slower on Mac OS X and Linux. Apart from that it cannot work on iOS, which is why it’s not supported by any iOS device (such as iPad or iPhone). However, it’s a software, used on the majority of desktops, which allows developers to enjoy the possibility to use microphone and webcam for creation of their multimedia files. 2. Another benefit is the possibility to render content without installing applications, plugins and so on. Developers can finally forget bout the tiresome installations of players, necessary for smooth work of the majority of RIA. 3. HTML5 is universal and works perfectly on any device, be it desktop, tablet or mobile phone. Moreover, it adapted for any operational system, be it Android or Linux and Mac OS X. It actually works much faster than Adobe Flash, since it doesn’t rely on CPU for quick running and doesn’t overheat the devices it’s used on. 4. HTML5 has responsive design; meaning it’s adapted to the screen of any device it’s used on. It’s an amazing feature, especially seeing that marketologists can use this feature to show their advertisements in a appealing way. 5. Another benefit that is brilliant for marketing campaigns is SEO support, which HTML5 possesses. It provides an tool for getting higher positions in the search engines and correspondingly increasing the overall customers’ turnout and conversion rate. 6. Researches show that people are moving their online searches to mobile devices, which is why HTML5, which already is up-to-date with this trend, will soon become a must for those, who are not willing to be lagging behind. in order to create code that is required for your task. 2. It’s supported by all web browsers for desktop PC. It’s very convenient, however you should keep in mind that it’s not supported by mobile devices, which is why none of the content will be displayed. 3. Flash provides possibilities for creating much more beautiful and qualitative graphics. It also offers built-in visual effects, which is why developers can freely create any animations and video files. 5. With flash, designers are at liberty to use sub-pixel definitions for rendering smooth and beautiful scenes. They can also use audio recording and web cam. This is a huge advantage, since it provides multitude of exiting possibilities. 6. 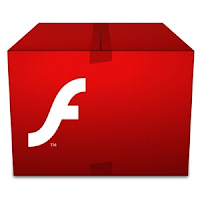 Flash is ideal for video streaming, especially live video. This feature remains highly valuable for developers as it opens a wide row of multimedia applications. When it comes to choosing between HTML5 and Flash, for those people, who aren’t that tech-savvy, Flash will be a better choice. HTML5 has responsive design, which is a huge plus over Flash, which is not supported on mobile devices at all. However, video streaming and live streaming runs much better on Flash. But due to the fact that Flash relies heavily on CPU, it quickly overheats devices that its used on. HTML5 doesn’t have such a problem. 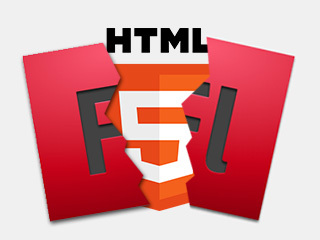 Therefore, on this point the dilemma HTML5 or Flash has an obvious answer: HTML5. Although Flash has a wider reach, a bigger community and provides better possibilities for video rending and streaming, it is limited in many aspects: not supported on mobile devices or iOS and relies on CPU, which slows down its work by up to 40%. Apart from that, devices it’s used on tend to overheat, which is not a good thing in the world of ever-changing technologies. Although it won’t disappear as fast as many of us tend to believe, it really is on the decline. HTML5, on the other hand, possesses all the up-to-date features, such as responsive design, which became a must in the world of modern design and SEO support – crucial for your website’s marketing campaigns. Moreover, HTML5 is free and that’s a guaranteed ticket to success. So it’s fair to say that in the battle HTML5 vs Flash, the victory would most probably be held by HTML. What do you think on this? Will one of them get primacy or they will continue to be as popular as they are today?